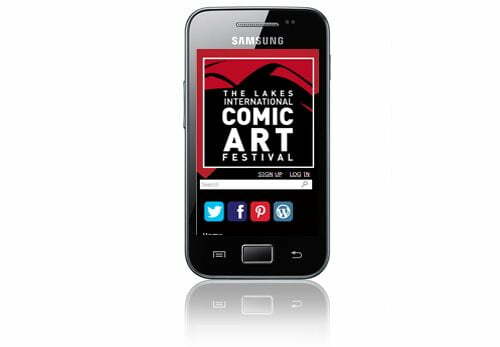 The Lakes International Comic Art Festival will run from 18-20 October 2013 in Kendal, Cumbria. The festival celebrates the best in comic art from superhero comics to non-fiction graphic novels. We’re a founder supporter of The Lakes International Comic Art Festival and worked with the not-for-profit company in developing their WordPress website. The site uses Responsive Website Design so it’s easy to read and navigate with a minimum of resizing, panning and scrolling on all mobile devices.